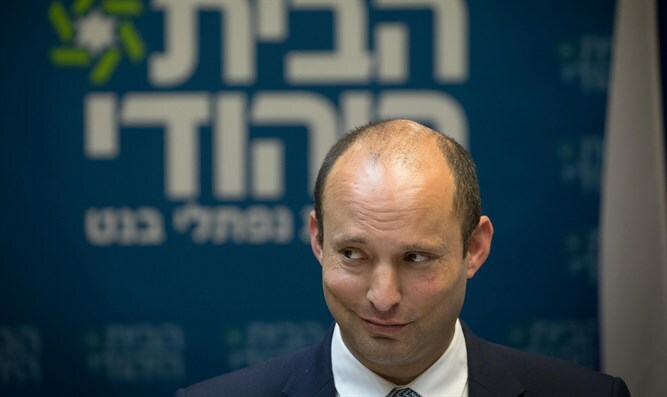 Education Minister and Jewish Home Chairman Naftali Bennett responded to former Prime Minister Ehud Barak who attacked the Jewish Home Party. "The national tweeter with his daily provocation; you keep on tweeting, we'll keep on leading," said Bennett. Earlier. Barak told Radio 103FM, "The vision of the Jewish Home Party with the man and woman heading it is racist and messianic, with their rabbis Lior and Ginsburgh, the sources of inspiration for the murderer of Rabin and the murderers of the Dawabsha family, who threaten the future of Zionism." Minister Shaked responded: "After discovering that most of the public isn't with him, Ehud fled. This time to the Supreme Court.'' She reiterated her position that "legislation is enacted in the Knesset by a democratic majority, not by running to the Supreme Court." "The Nationality Law itself will certainly not be disqualified in the Supreme Court," she explained, adding that the Supreme Court has no authority to disqualify Basic Laws.